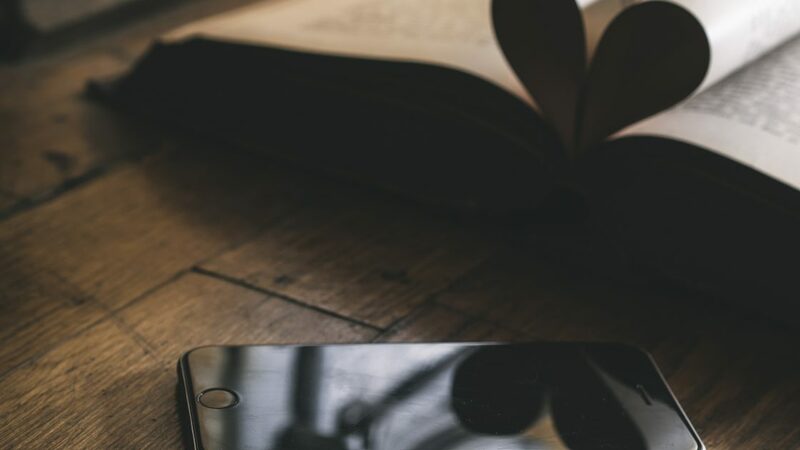 It’s Paperback Book Day (on July 30) and it’s time to answer an age-old question for the digital era: print book or audiobook? If you ask any of my friends or family what I like to do, the first word out of their mouths would be read. The second word would be talk. And then they would add two words— “a” and “lot.” But the very first thing would definitely be reading. I am a reader. In fact, when I was a little girl at slumber parties you would often find me curled up in the corner reading my favorite book and randomly contributing bits and pieces to the general conversation in between chapters. I love everything about a printed book: the smell of it, turning the pages, and falling asleep mid-sentence while trying to stay up to read just one more page. But now that audiobooks have become so popular, I find myself questioning what it means to be a lover of books. Are you really a reader if you’re listening? Look, everyone has their preferred format. Some like e-readers, some like the printed word on the page, and some like to listen to books. But for me, a physical book was my all-time favorite format until Tiffany Haddish’s The Last Black Unicorn. Have you ever seen a Tiffany Haddish movie or watched her interviewed on TV? Don’t you feel like, after seeing her in action, that if you were to go on a Girls Trip with her, it would be one to remember? That you just might come back from this trip with six-pack abs because you were laughing so hard. Well, imagine if Tiffany was reading her memoir to you. Let me paint a picture. You’re walking around listening to her book, wearing those little wireless headphones that no one can see until you get up close, and laughing so hard to yourself that people are moving away from you on the subway. I mean just listen to this. The last time I laughed so much with a book was when I was reading David Sedaris’s Me Talk Pretty One Day. Therefore, if someone were to ask me to choose between a paperback book and an audiobook, the first thing I’d ask is if the book in question was the audio version of The Last Black Unicorn, and then you know what my answer would have to be: although I’m a print reader, I’m a book listener too! 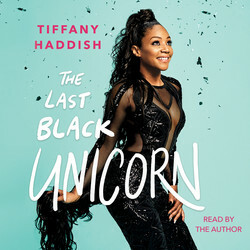 From stand-up comedian, actress, and breakout star of Girls Trip, Tiffany Haddish, comes The Last Black Unicorn, a sidesplitting, hysterical, edgy, and unflinching collection of (extremely) personal essays, as fearless as the author herself. Growing up in one of the poorest neighborhoods of South Central Los Angeles, Tiffany learned to survive by making people laugh. Tiffany can’t avoid being funny—it’s just who she is, whether she’s plotting shocking, jaw-dropping revenge on an ex-boyfriend or learning how to handle her newfound fame despite still having a broke person’s mind-set. A new collection from David Sedaris is cause for jubilation. His recent move to Paris has inspired hilarious pieces, including Me Talk Pretty One Day, about his attempts to learn French. Sedariss essays on living in Paris are some of the funniest hes ever written. At last, someone even meaner than the French!